Prepare these in advance so that you are ready. This gives you time to refine the wording. Before beginning any ritual or event like this you must clear your space. Switch off anything electronic that can affect the energy – televisions, radios, mobile phones, etc. Use sage to clear the energy of the room. Before beginning any ritual or event like this you must clear your energy. If you have an existing technique you use, then please use that. If not, then you can use the sage around yourself to clear your energy. You can also close your eyes, imagine raindrops or a waterfall falling on to you and clearing you of any negativity of energy, cleansing as it does so and only bringing positivity. You will need a candle and a bowl of water. Make sure your candle has a solid and safe base. Light the candle. Close your eyes and breathe in the calming energy. Breathe in deeply and slowly. Breathe in through your nose and out through your mouth. Imagine roots or cords going from the bottom of your feet deep into the ground. These will ground you. Read the desires out loud with conviction. Affirm them. Say them with belief. Say them slowly and clearly. Saying them once should be sufficient. However, you can say them 2, 3 or more times. Just be clear with your belief they will come true. As you say each one visualise it happening. Picture it in your mind. Feel the sensations. Live them happening. Breathe in slowly and deeply. And slowly bring yourself back into the room. Smile and wait for the lunar energy to begin itswork. Read the desires silently daily or whenever you wish. 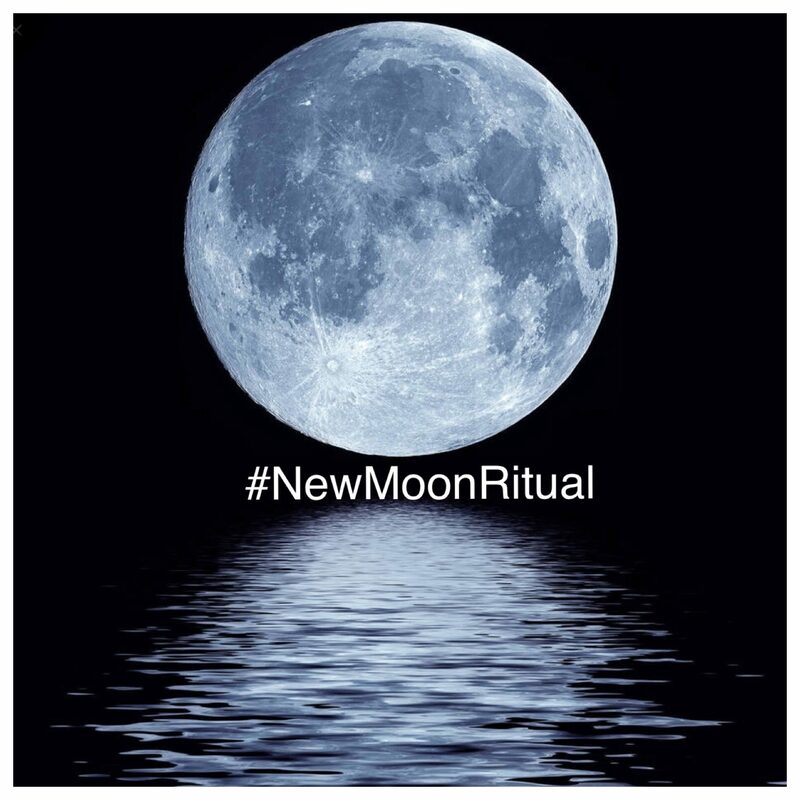 At each new moon follow the same ritual. Keep doing so until you manifest your heart’s desires.